What the heck does TreeFeathers mean, anyway? 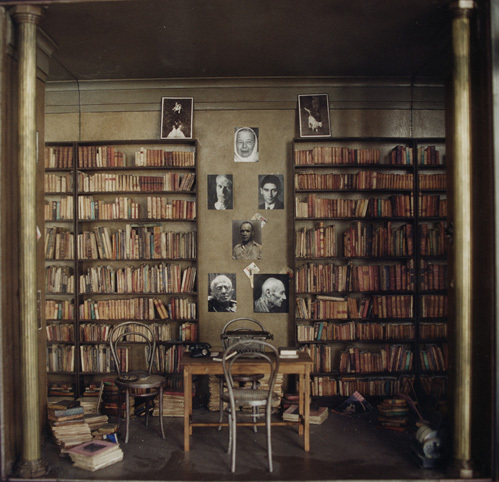 I came across some photos of Charles Matton's work and had to go find out more about him. His "Boxes" are amazing! 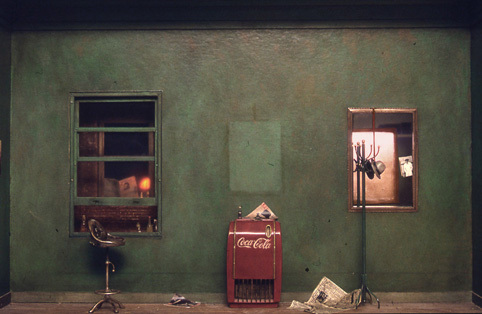 Each Box depicts an exquisite miniature recreation of a real or imagined location. 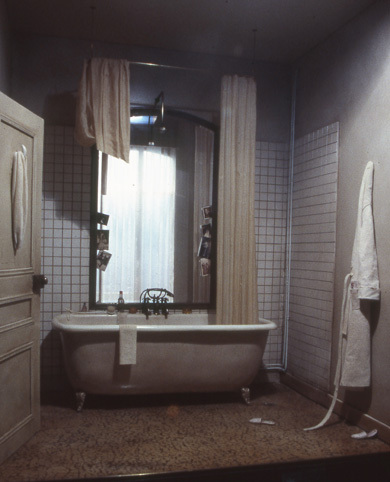 Elaborate libraries, studios of Classical sculptors, rooms of famous writers - even simple bathrooms become works of art. 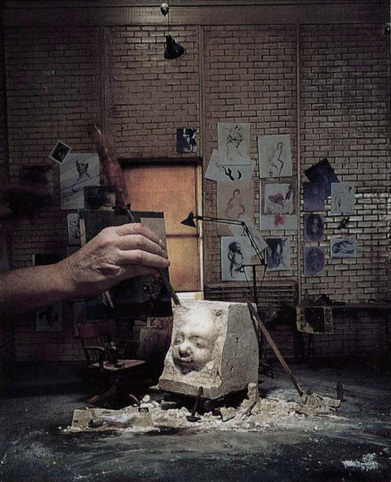 With painstaking attention to detail Matton creates scenes that truly transport the viewer. Matton, based in Paris, is well known in Europe, and his work is featured in museum collections in France and Japan. 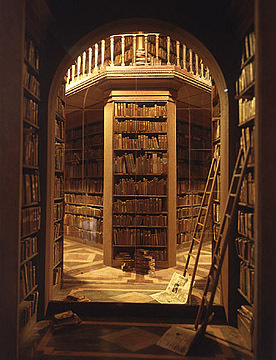 His box scenes were also the subject of a book, Charles Matton, published in 1991. 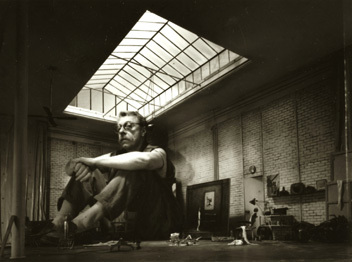 Exhibitions in Paris, Venice and Tokyo have drawn crowds fascinated by his tiny detailed worlds. 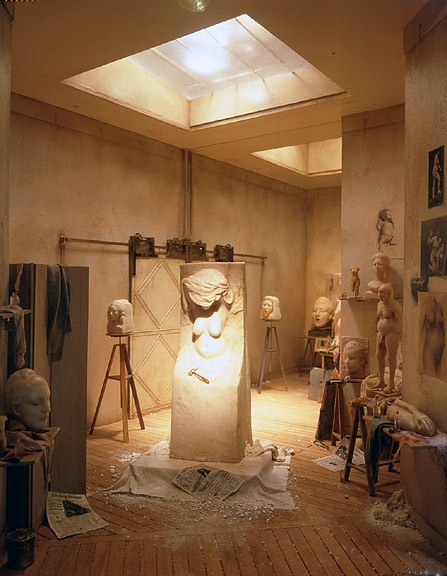 Matton says, "I create two kinds of boxes: those whose purpose is to recreate an atmosphere that has delighted me, a memory whose existence I wish to perpetuate; and the more objective pieces that are the result of a detailed examination of the "realistic truth" of a certain place." 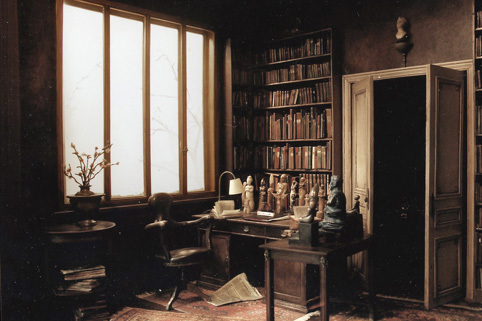 I wish I could go to Paris and see his work in person, but we'll have to settle for these photos. Visit his website to see even more! This month we have another tutorial from Judy Kingsley of Chelsea, Quebec (check out her fabulous fireplace project that was previously featured.) 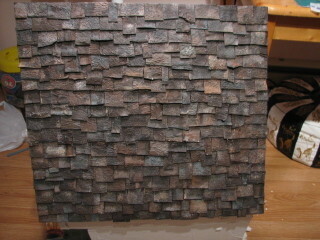 Here she shows us how to create a beautiful slate-shingled roof using textured cardboard. Click on the photos for a larger view. Acrylic paints in brown, burnt umber, dark burnt umber, orange, off white, grey, lead grey, lichen grey, etc. 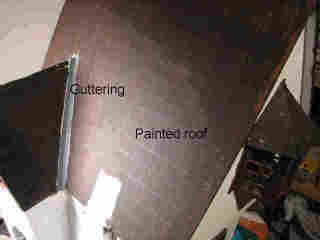 Paint the cardboard in whatever base colour you want for your shingles. For slate a brown or grey base works best. While the paint is still wet, lightly brush on other colours in small areas. You want to avoid having an even colour on all the shingles or slates. Let your cardboard dry completely. You can dry brush extra detail later. 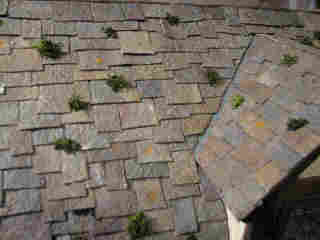 Once dry, cut out the shingles, varying the length and width. Paint the edges so that the cardboard doesn't show. I also paint around the back edge because I like these old slates and shingles to lift up slightly and I don't want to see any unpainted cardboard. Once the shingles are cut, mix them all in a pile so that you will be picking them out randomly. Paint your roof the base colour you used for the shingles, so that any spaces between them will not show. Pencil in horizontal lines to follow for gluing on the shingles. For gutters around dormers or chimneys, cut a narrow piece of paper a bit longer than what is needed and paint it lead grey. Let dry. 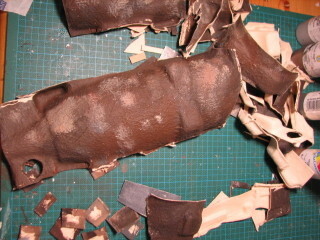 Fold it in half lengthwise and glue one half along the dormer or the base of the chimney and the other half to the roof. 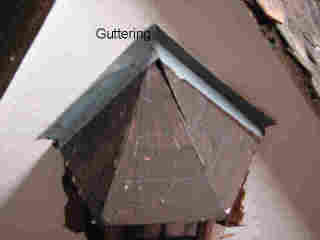 Glue the shingles one beside the other, starting from the bottom edge of the roof and working towards the top. Overlap each row slightly. Don't cover the guttering completely with the shingles. Leave the top row along the peak until last, after both sides of the roof have been done. One side of the roof is finished! 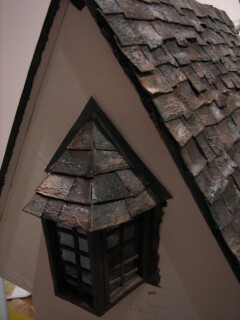 View of a dormer window and roof edge. After both sides of the roof are finished, cut narrow shingles and glue them along the peak. 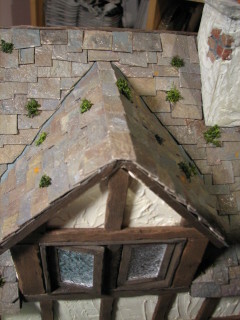 This is the roof from my attic roombox, showing the roof peak and dormer. 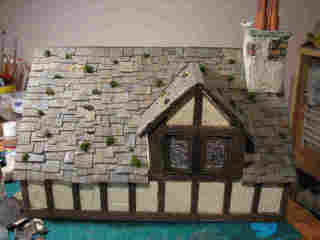 Once the roof is entirely shingled you can add detail. Use tiny dabs of off-white or orange paint to simulate lichen, or glue on bits of greenery for moss. This technique can be used for many landscaping and finishing purposes. Create flagstone walks in your gardens, stone floors or walls, beautiful fireplaces and chimneys. Experiment with shapes and colours to get the effect you like. I've been meaning to post this on my website for a long time (it's like, #752 on The List), as I get asked about the TreeFeathers name a lot. I just got another inquiry about it, so it's now been bumped up to #1! Which means I can cross something off The List, yay! So, what the heck does TreeFeathers mean, anyway? 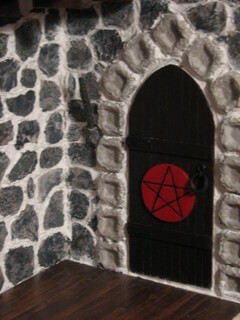 I'll admit, it made more sense back when I was making Christmas tree ornaments for a living, but then the miniatures took over. and so I put it on. The Tomato Nation Fall Challenge wrapped up last night - the $100k goal was not only met, but exceeded! A total of $111,352 was raised to help schoolchildren all over the USA through projects listed at DonorsChoose.org. Way to go, everyone! As one person posted, "Times might be tough, but Tomato Nation is tougher." Of course this also means that we will once again get to see Sars publicly humiliate herself in a tomato costume. This year she has pledged to take the train - in costume - from NY to Washington, DC, where I'm sure she'll perform another hilarious tomato dance. You don't want to miss it!